200+ pix - click here. Pictures from Los Altos HS. 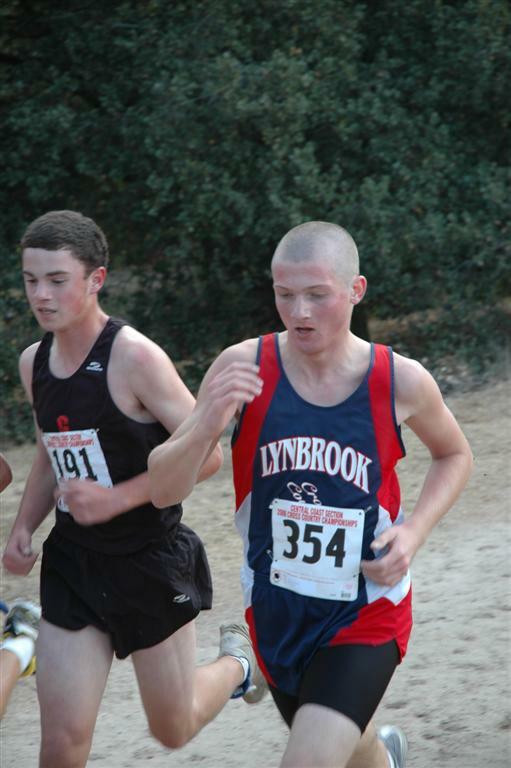 Mitty: David Page had a 17:18 best at Toro in 2006.
who will be 1 and who will be 2. Peter Chew should keep both these guys honest. Homestead: Nick Oliver (16:16) will lead the 'stangs. Amrit Subramanian (17:35) & Eric Surprenant (39.7 300IH) pushing the pace as well. 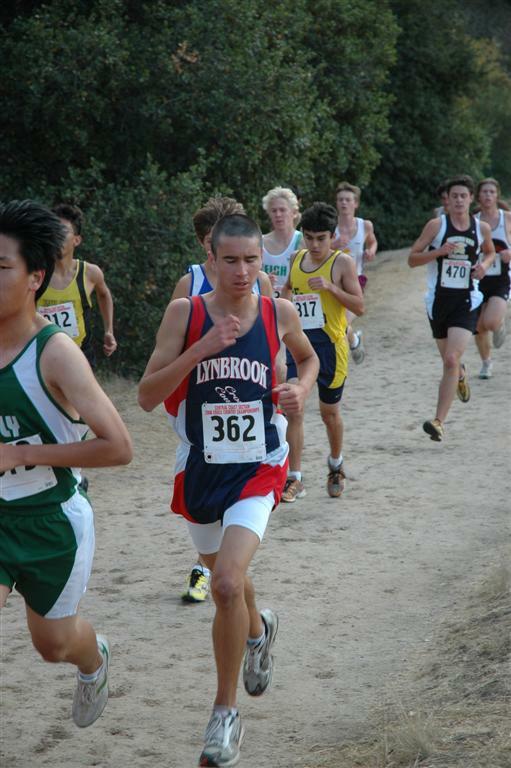 Pioneer: Unknown team with Ryan Ravel (18:29) - this is their first year running on the Lynbrook course. this close together at all the meets. of depth in this team. Saratoga: Kian Banks (16:52) and Alan Menezes (16:55) lead the Falcons. Prospect: Jared Tranberg (18:24) leads with alot of unknown marks for the rest of the crew. 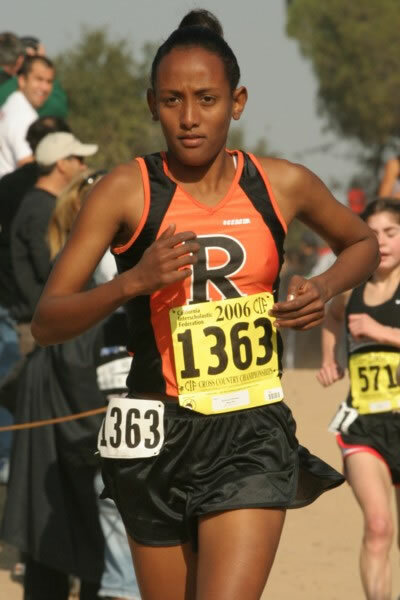 Mitty: Aisha Lott (20:18) was a hurdler in track, will be interesting to see how it's helped her endurance. 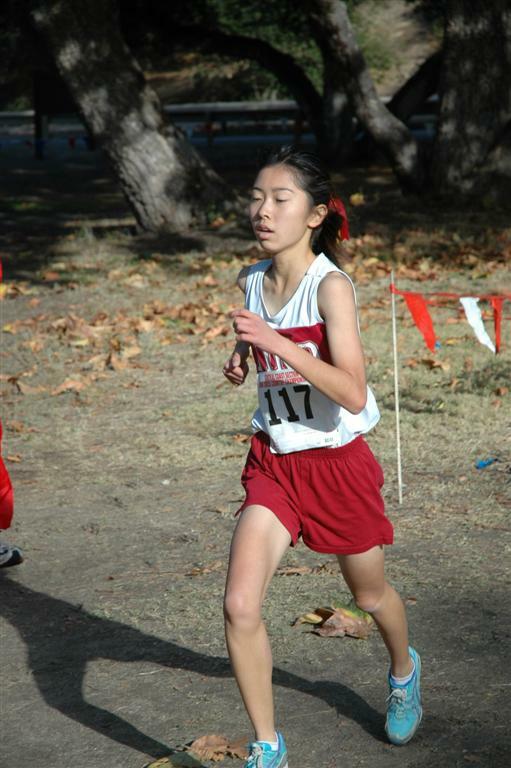 Cupertino: Sumika Shiokawa (18:15) is the runaway favorite for the day. Homestead: Kristen Peanaski (19:07), Emily Evans (19:12) & Laura Pochowski (19:49) make this the team favorite. Yee, Lauren Tang and Kristen Bryson give the Vikes an outside shot at Homestead. 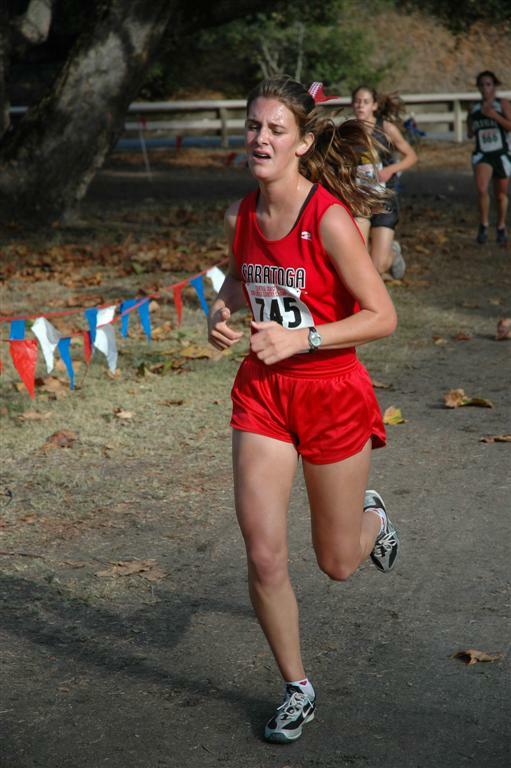 Pioneer: If Toni Sarge (5:04 1600) skips club soccer for XC, she could really make the race interesting. 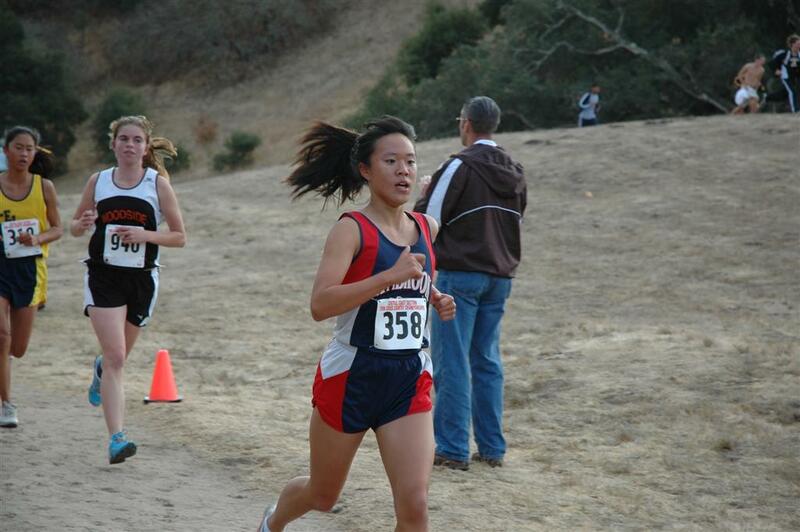 Wilcox: Peiley Lau (20:28) leads the way for the Chargers. Mt View: Mary Reynolds (18:26) with four others under or at 20:00. As with the guys, their depth will help. Los Altos:  Holly Yort (20:11) is the front runner here. Saratoga: Katie Nast (18:32) is top dog and ran an excellent 11:21 3200 last track season. Prospect. She will be someone to watch. this early season meet). Anyway you look at it, it will be a fun day for all.